The widening gap between customer demand for improved online shipping and retailer capabilities is leaving businesses vulnerable, according to new research from Temando, as the arrival of e-commerce giant Amazon.com later this year promises to revolutionise the online market on a never-before-seen scale. Temando’s annual State of Shipping in Commerce survey of 258 retailers and 1,279 online shoppers in Australia highlights that while 65 per cent of consumers said they abandoned their cart due to the high cost of shipping, 61 per cent of retailers struggle to manage the increasing cost of carrier rates. “Smart retailers have their foot on the gas and are using the arrival as a huge opportunity to streamline their processes, optimise logistics and embrace digital transformation to put them in a prime position to not only survive, but thrive,” said Mr Hartmann. Consumer demand for seamless shipping to complete their online shopping is growing, as up to 57 per cent of shoppers will buy from competing stores when retailers fail to provide relevant shipping options to suit their needs. “Shipping is sometimes overlooked in favour of marketing and packaging, but as we enter a post-Uber age, it isn’t just a ‘back-end’ issue anymore, but a front-and-centre priority to enrich customer service and fuel growth,” said Carl. In-demand shipping options that cater to convenience such as ‘specified time slot’ (50 per cent), ‘same-day’ (41 per cent), ‘weekend or after hours’ (44 per cent) and ‘hyperlocal’ (37 per cent), is offered by less than a quarter of retailers currently. A negative shipping experience is enough to put off 59 per cent of customers from shopping with that retailer again, while 80 per cent of shoppers will repeat purchase if they enjoyed the service. 68 per cent of shoppers said they’ll shop more online for free shipping, with up to 65 per cent willing to increase their basket size to qualify for a free shipping offer. Yet only 26 to 39 per cent of retailers use ‘free shipping with a minimum spend’ as a conversion tactic. “We’ve found Australian shoppers react more strongly to delivery service compared to American shoppers. New alternatives to standard and express delivery have been largely unmet this year compared to 2016, which opens up enormous opportunity for retailers to re-imagine their retail operations and create meaningful, cost-effective customer service,” Mr Hartmann said. 51 per cent of retailers acknowledge that technology platform compatibility is an issue, with 58 per cent finding integrating carrier services into their systems a key challenge. 47 per cent of retailers acknowledge challenges with shipping and fulfillment automation, while 37 per cent felt the same about shipping from store. Yet only 29 per cent and 24 per cent respectively are planning to invest on improving these issues in the next 12 months. 72 per cent of retailers grapple with the accuracy of international shipping costs, with only 21 per cent having the ability to charge all applicable duties and taxes for international customers in the cart. “Using smart technology to streamline processes will help to remove some of the key fulfillment challenges retailers are facing now and in the future. How businesses evolve with this changing landscape will influence how far their business grows, and how fast they scale,” said Mr Hartmann. 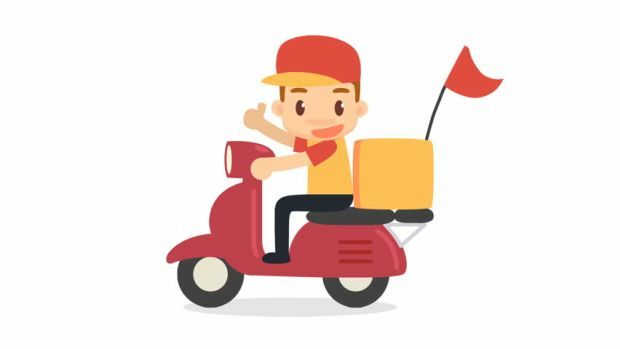 The popularity of new food delivery services influenced 59 per cent of high spenders who expect to have hyperlocal shipping as an option when shopping online. 23 per cent of shoppers are using their mobile devices as their primary shopping tool, with Millennials being the highest adopters at 48 per cent, while Gen Z sits at 29 per cent. Access to a wide choice physical and online stores has given rise to two behaviours: webrooming (look online, buy in physical store) and showrooming (look in physical store, buy online), which is engaged by 65 per cent and 51 per cent of shoppers respectively. “The race for customers is not going to subside and with the imminent arrival of Amazon, Australian businesses should be embracing the challenge. With future growth opportunities existing in the ability to cross borders, its vital that delivery networks and retail operations work seamlessly together to satisfy the customer while managing the bottom line,” Mr Hartmann said.